In your daily work, you will be involved in assessing the risks and opportunities of a transaction, focusing on the quality and effectiveness of IT and its contribution to business objectives (IT due diligence). Would you like combine M&A and IT in your day-to-day work? This is your chance to combine IT strategy with the dynamic world of mergers and acquisitions! You will support clients to quickly form an opinion on the effectiveness of IT and assist them with the integration/separation of IT and Operations in light of an acquisition or divestiture. You will work in a senior advisory team, have frequent challenging client discussions at the C-level and grow in an environment where coaching and personal development are crucial values. Experience with mergers and acquisitions is a plus. Advising on value creation and growth through optimal use of and investment in the IT landscape after a takeover. You are part of an (inter)national deal team on varying assignments at home and abroad. You have a lot of interaction with the client on various organizational layers (including C-level) and frequently work together with other PwC specialists. We offer a challenging job in a vibrant, young, fast growing team of approximately 35 people in one of the most successful transaction practices in the Netherlands. Depending on your experience, you could also lead teams. In addition to a focus on IT, you also have the opportunity to develop into an operational specialist. Many opportunities to grow are available, both personally as professionally. The PwC Delivering Deals Value transaction world is a dynamic environment, offering you a steep learning curve, under active guidance of experienced partners. When you start working at PwC, you are assured of a wide variety of clients, inspiring colleagues and great working conditions which have been set up with your growth in mind. Both the primary and the secondary employment conditions are first-rate, with a partially non-contributory pension, 32 vacation days and a leased car, to name but a few of the perks. 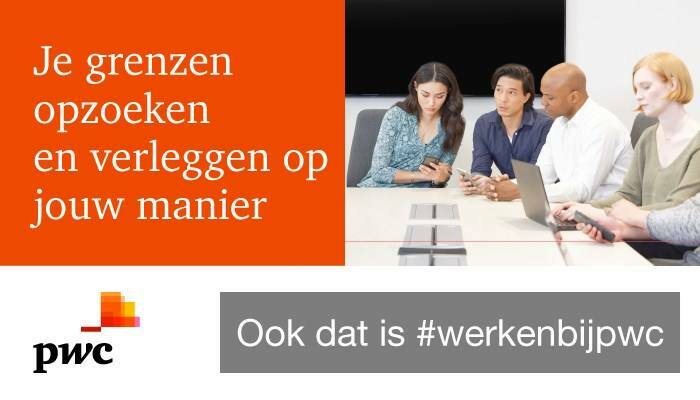 Please send your application for Consultant M&A IT Strategy at PwC in Amsterdam including your CV via our website.